Rated 5 out of 5 by kerisue96 from Gaming Review: Phantasmat: Deja Vu From the developers at Eipix Entertainment comes the latest installment of the Phantasmat series: Déjà Vu. In Déjà Vu, you play as Matthew, the brother to Faith, your sister who has been suffering from terrible nightmares after witnessing the death of her parents in a horrific car accident. All attempts to cure Faith’s nightmares have lead nowhere – no treatments are working and no doctors can help her. Desperate and out of ideas, Matthew and Faith embark on a journey to the small town of Reed Valley, Louisiana, home to a well-known hypnotherapist, Dr. Ryan. But things quickly start to take a dark turn when Faith disappears shortly after seeing Dr. Ryan. Strange things start to happen around this sketchy hypnotherapist’s house and the town of Reed Valley, and it’s up to you to work your way through the deadly secrets and dark apparitions of Phantasmat: Déjà Vu. Ratings (Out of 5) Fun Factor 5/5 The last time I played a Phantasmat game, I was left thoroughly disappointed and barely had a lick of fun. Yet, come Phantasmat: Déjà Vu, it’s like the developers made a complete 180 and things came out so much better. They took what worked from previous games and transformed it into something amazingly creepy and intriguing. I really enjoyed the twists that were put on the traditional games we all know and love, while still remaining true to the heart of the game. The fun factor definitely went up all the way to the top. I was completely immersed in this game, loving the story, the atmosphere, the hidden objects, the variety of different puzzles, the animations, interactions, and other playables, just all of it, I loved it. I had so much fun playing this, its dark and twisty elements really keeping me engaged throughout the entirety of the game. Graphics & Sound Quality 5/5 As always, Eipix Entertainment and the Phantasmat franchise does not disappoint when it comes to the graphics and sound quality of the game. The imagery and stage was set up beautifully and was really nice to look at. Each scene was able to hold your gaze for multiple minutes, as there was just so many details and depth to the displays on the screen. I also particularly enjoyed the cutscenes and cinematics that were in this game. Many HOPA games that I have experienced tend to slack off on this area, but not in this one. The soundtrack was mixed with a variety of different tunes, changing scene to scene, really adding to the environment and overall experience. Much work and dedication was put in the making of this game and I definitely noticed and appreciated it. It really does make a difference. Level of Challenge 4/5 I decided to play this game on the medium, or intermediate, level, basing my decision on how easy I blew through the previous game. While this game is a completely different gem in comparison to its predecessor, I’m still glad I chose to play on the medium level. It offered just enough of a challenge that I needed in order to not get too bored too easily. Some puzzles frustrated me and were ridiculously time-consuming, but other than that, I rather enjoyed the level of challenge that I experienced, and I’m sure that many other players will find something that works best for them as well. Storyline 5/5 The story in Phantasmat: Déjà Vu definitely exceeded my expectations. It wasn’t boring, I actually cared about what happened to the characters and why I was doing what I was doing to begin with. And the story made sense and left hardly any unanswered questions! The storyline left you with a feeling of fulfillment and achievement, rather than confusion and disappointment. I particularly enjoyed how it didn’t just rely on one type of element to drive the story. It wasn’t just ghosts and hauntings or just a bad man or just a personal issue that needed to be solved. It was a combination of all of these things that gave the story depth and meaning. Hopefully Eipix Entertainment and the Phantasmat franchise will keep doing things like this in future games! Overall Rating 5/5 Overall, I am extremely pleased with this game. Check all the boxes: gameplay, storyline, graphics, sound, replayability, et cetera – they were all done right. In my opinion, everything about this game hit its mark. Games like this are what get me excited for future games from the developers and the franchise. You DO NOT want to miss out on this thrilling adventure of a game! Rated 5 out of 5 by sandrachmiel from Don't understand the bad reviews I agree with mareflynn. I REALLY liked this game for the same reasons. This is the first Collectors' Edition I have bought in a while as I enjoyed it so. Rated 5 out of 5 by valjoy from Not your average thriller! Much more thought has gone into developing this story than usual and for once, the bonus story is probably the best bit. I like the thoughtful chitchat that some players obviously loathed and for me the twists and well plotted confusions added to the intrigue. Some great theatrical graphics too. Nice work, Eipix! Rated 5 out of 5 by j62janet from A twist in the story You are up against a man who is hypnotising people, you have to beat him in any way you can, doing HOS and puzzles along the way, taking you to different places. The sheriff is taken in by the Dr, and has to hold you in custody, while the Dr sees to his other victims. As I said there's a twist at the end, which totally surprised me! Rated 5 out of 5 by hopqueen from Excellent Creepy Psychological HOP! I just love creepy games with a psychological twist! This game has unique twists to its puzzles, too, and everything has that creepy tinge to it. I also like all the hints as to what might be going on in the storyline - it's like playing a psychological thriller novel. The ambiance is excellent, the music goes with it perfectly and sounds like it's straight out of a movie, the characters are very well animated, and there are collectibles in every scene (a brain in a jar and a morphing object). I have only one complaint, which isn't worth taking a star away for. There is a fair amount to read in the storyline, and there isn't a narrator for those parts, which means my attention is torn between reading and looking at the art/movie going on. Phantasmat never lets me down! Another great game! Rated 5 out of 5 by rjohn82677 from PHANTASMAT:Deja Vu CE CREEPY! EERIE! WEIRD! and FUN! This game had really challenging puzzles that were "stumpers". 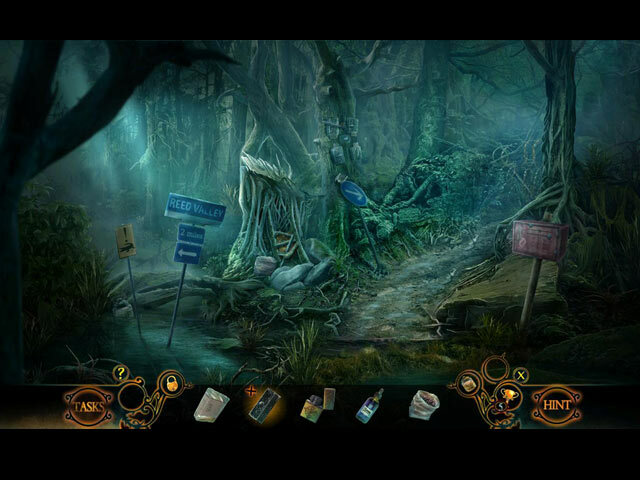 I have played all of the Phantasmat games and I believe that this one is the best so far. 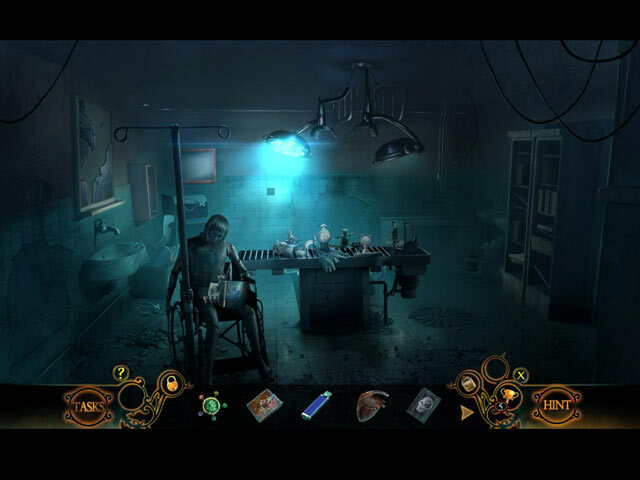 Many players may not like this game because it is "dark and not "light in spirit, but the puzzles make this game worth putting aside "the chills" and tingles that are caused. The graphics are excellent. This game may not be for every player, but I do recommend it especially for the puzzles. Rated 5 out of 5 by mareflynn from Is it just me? After more than 12 years of playing HO games, this is one of the first that has kept me engaged!!! It's kind of creepy which I like! I really don't understand the super low ratings. Rated 5 out of 5 by gobaba from Creepy & Haunting Game Very Well Done Based on Main & Bonus Games Eipix did a fantastic job with a novel theme, atmosphere, and mood, so naturally people are complaining that it's not like the original Phantasmat. I don't want the "original Phantasmat", I've already played it and I want something new. I love creepy games, so I have to wade through all the fantasy, wizardry, and cutesy games to locate one.This is an excellent find. The scenery is stunning, set in Louisiana, with both indoor and outdoor illustrations beautifully done. The story is good without excessive chatter, and no bwah-ha-ha villains participate. Music is eerie, setting a tone throughout the game. The underwater scenes rival those of the original Phantasmat. You gotta see! The dream sequences are chilling. A lot of newly-themed puzzles and HOs make this intriguing, and there are probably a few more puzzles than HOs. Traditional HO fans won't be disappointed. The adventure challenge is excellent, therefore some will complain it's too hard. (If it wasn't, they'd complain it was too boring). It's just right for me. Collectibles are brains in jars, each with a different face on it, (probably Eipix devs and characters from other games). Also, there are morphs in 16 of the scenes, each one a character from the game. Other CE bling includes the Souvenir Room (collect hidden butterflies), replayable HOs & puzzles, plus the usual. Achievements include one quirky one, so read them before you play. (Thank you, Eipix). Main game lasts about 4.5 hours in hard mode, bonus game almost 1.5 hours.. The latter is a very well done psychological thriller related to the main game. I'd still like to see funny comments in the credits, ahem. Is it worth a CE? Yes. This is a beautifully crafted, challenging, and well-executed game that continues into the bonus game. If you like creepy games, this is perfect. Rated 5 out of 5 by pennmom36 from NOT MY PHAVORITE PHANTASMAT BUT STILL PHANTASTIC Recurring nightmares of that fateful accident have driven your sister nearly insane. Doctors have exhausted every orthodox treatment available with no signs of improvement. Faith had lost faith in conventional treatment options, which is why Matt has chosen Dr. Zachary Ryan's questionable method of treatment for Faith, mind control. Has something gone horribly wrong with the session? Are you still in control of the situation? Are you alive? Are you dead? Or have you just entered the world of Phantasmat, somewhere in between? Overall, this is the kind of game I love, creepy graphics, a plot that makes me wonder if I'm dead or alive, and a game that doesn't require me to find a million keys, emblems, and constant back and forth tasks. The first chapter is rather dull and somewhat weird, but it picks up towards the end of the first chapter and becomes very intriguing by the second chapter, so stick with it, the demo doesn't do it justice. I'm sure most of you know that the original Phantasmat is my number 1 all-time favorite HOPA game. I have searched high and low on my neverending quest to find a game that had a storyline as PHantastic as the first one, unfortunately, I haven't found one that even comes close! In the first game, instead of filling in the blanks of the plot with the usual Hidden Object Keyword Sentence PHinds, you would have creepy "visions" to find out what had happened in the past, which correlated to how you got in the situation in the first place. Although some of the Phantasmat games include a variation of the visions (especially in Curse of the Mist) they are missing a PHenomenal opportunity by not taking advantage of this feature. Another reason I have always loved this series is because I can always count on there to be Morphing Objects in each scene, however, Deja Vu doesn't include Morphs in every scene, just some of the scenes, so whats up with that??? 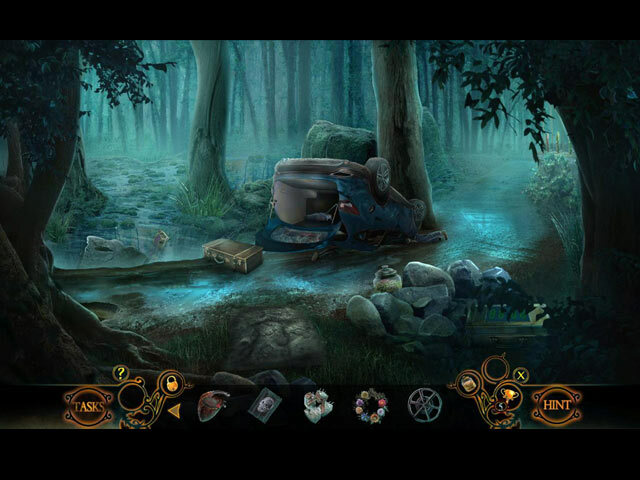 The Hidden Object Scenes are typical Phantasmat HOS which are varied with Keywords in Sentence PHinds, Silhouetted Shape PHinds, Multiple Object PHinds, Matching Pair PHinds, and scenes to PHind all Morphing Objects. There is an alternate Match 3 game available, and if you want to earn all of the Achievements, you'll have to play at least 1 Match 3 game in place of the Hidden Object Scene. There's nothing that really stands out here, but I did enjoy the matching pair HOP with beetles and plants. The Mini-games I will admit, aren't as creative as they usually are in most Phantasmat games and a little too simplistic at times, but that seems to be the norm for this dev lately. I love the puzzles that you tinker with mechanics, such as setting valve levels, connecting specific amounts of wires etc. and that's one of the reasons I love this series because they are usually featured in Phantasmat games. They aren't necessarily bad, but lately, this dev has been adding mini-games that don't require a whole lot of thinking and a ton of the fight scenario games that simply can't be lost. Below are brief descriptions of some of the games you'll encounter during the demo: 1-Use directional arrows to move the dot to the correct letters. 2-Swap & resize vertical puzzle sections to complete the picture. 3-Select 9 eyes to duplicate the pattern shown. 4-Select the correct paths using the dolls eye directions as clues. 5-Place stained glass shards correctly to reconstruct the picture. 6-Select the matching symbol shown before it disappears. 7-Enter the combination lock code shown on the clue. 8-Push tokens out of each column to match the clue shown. 9-Select the pulsating line when it turns green to defend yourself. 10-Select 2 key segments to match the pattern when combined. 11-Rotate portions of 3 uniquely shaped sections of the scene. 12-Stop the strength meter according to the size of branches. This Collector's Edition version has 8 Wallpapers, 8 Character pictures, 8 Music Soundtracks, 11 Movie Video cutscenes, 15 Achievements to earn, 19 re-playable Hidden Object Scenes, 21 re-playable mini-games, 36 Hidden Brains in a jar, 16 Morphing Objects, 4 Main Chapters +Bonus Chapter and a built-in Strategy Guide, enjoy! PHANTASMAT SERIES LIST Title***Collector's Edition Release Date***Average Rating 1-Phantasmat (January 7-2011) 4.5 2-Crucible Peak (December 6-2012) 3.8 3-The Endless Night (January 10-2015) 4.0 4-The Dread of Oakville (July 9-2015) 4.2 5-Behind The Mask (December 17-2015) 4.4 6-Town of Lost Hope (April 7-2016) 3.6 7-Reign of Shadows (October 6-2016) 4.3 8-Mournful Loche (April 13-2017) 3.6 9-Insidious Dreams (September 14-2017) 3.8 10-Curse of the Mist (December 23-2017) 3.0 11-Deja Vu (July 7-2018) n/a By: Eipix Entertainment This Collector's Edition version has 8 Wallpapers, 8 Character pictures, 8 Music Soundtracks, 11 Movie Video cutscenes, 15 Achievements to earn, 19 re-playable Hidden Object Scenes, 21 re-playable mini-games, 36 Hidden Brains in a jar, 16 Morphing Objects, 4 Main Chapters +Bonus Chapter and a built-in Strategy Guide, enjoy! ...could it be Deja Vu?